Our October vigil was at St. Patrick’s Cathedral with Fr. Rossi on October 12th. It is so great to see consistent participation among our regulars, and this month we saw some new faces as well. The sidewalk is getting a bit noisier than usual–especially with new pro-abortion supporters regularly on the sidewalk. 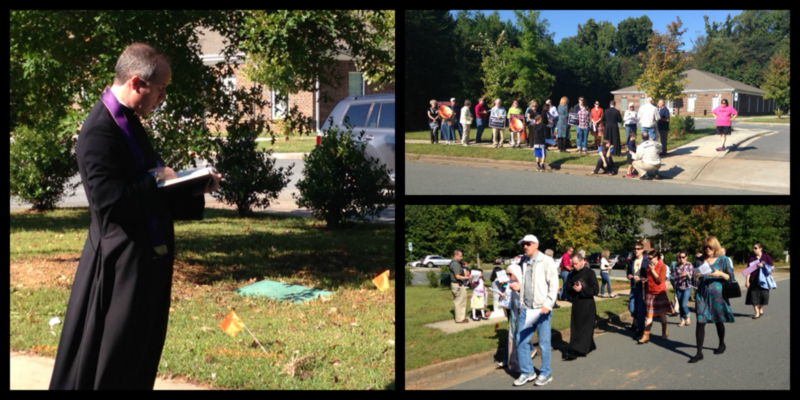 Luckily we now have walkie-talkies so that our Helpers group can spread out on the sidewalk AND hear each other pray. Our presence as the Charlotte Helpers is formally tied to the Eucharist and Holy Mass, so it’s incredibly important for us to be this kind of witness each month. God Bless! 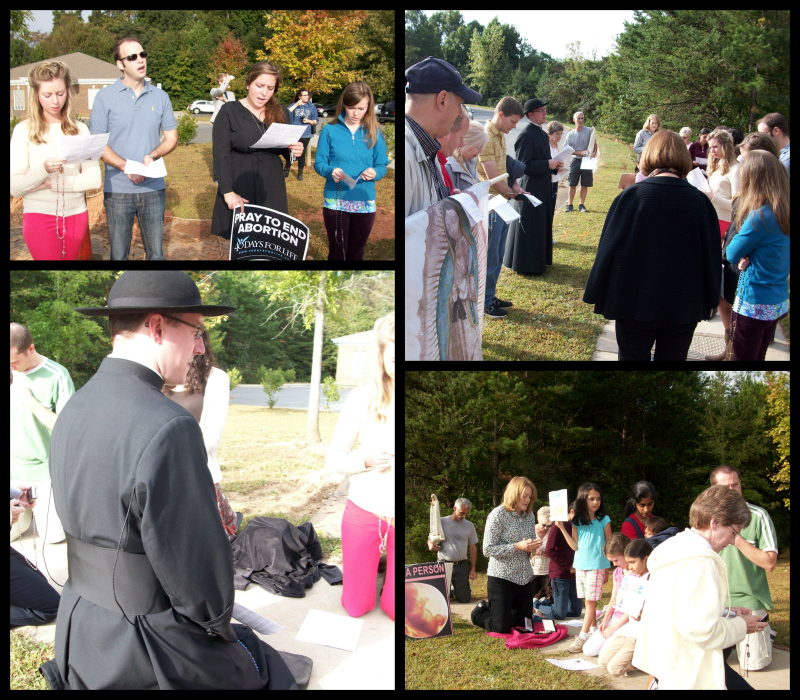 Our September 28th vigil at St. Ann’s with Fr. Reid. 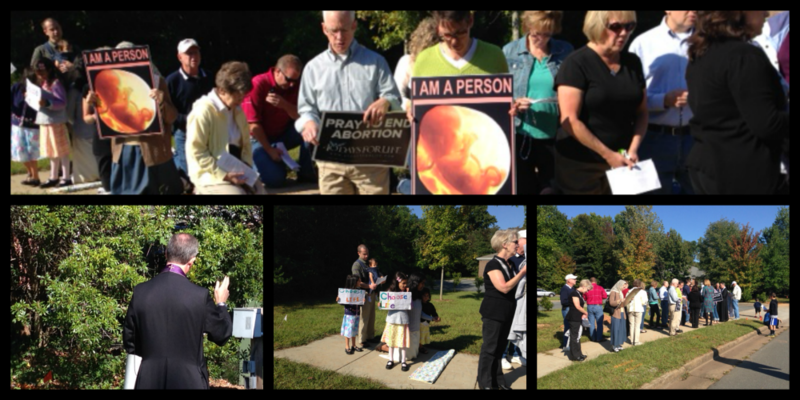 After Mass we went to pray at Latrobe to correspond with the 40 Days for Life campaign. Afterwards Fr. Reid prayed his “special prayers” (exorcism prayers) before we headed back to St. Ann’s for Benediction. This was our first vigil using the walkie-talkies! That way we can hear each other pray while being spread out in a large group.